Chinese politics from the provinces: Will The Real Xi Please Stand Up? It’s difficult for some to know how to see President Xi Jinping these days. One day, he seems to be calling for the need for dissenting voices in the Communist party, and for the counsel of intellectuals to be heard and possibly heeded, even when that advice might not necessarily correspond with the current direction of policy. Another day, Xi rails against those within the party who he claims praise capitalism and denigrate socialism, demanding loyalty and discipline, not dialogue with those who may hold different views. 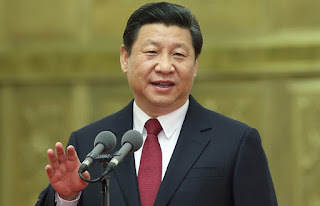 In fact, this is The Real Xi: a leader preaching salvation through ideology instead of economics; someone who sees party reform as the best and more reliable sort of political reform; and a national manager who believes that while his predecessors were transitional figures for their times, China now needs someone who will be transformational. In short, The Real Xi is a real leader with real challenges. There are two major considerations in that respect. 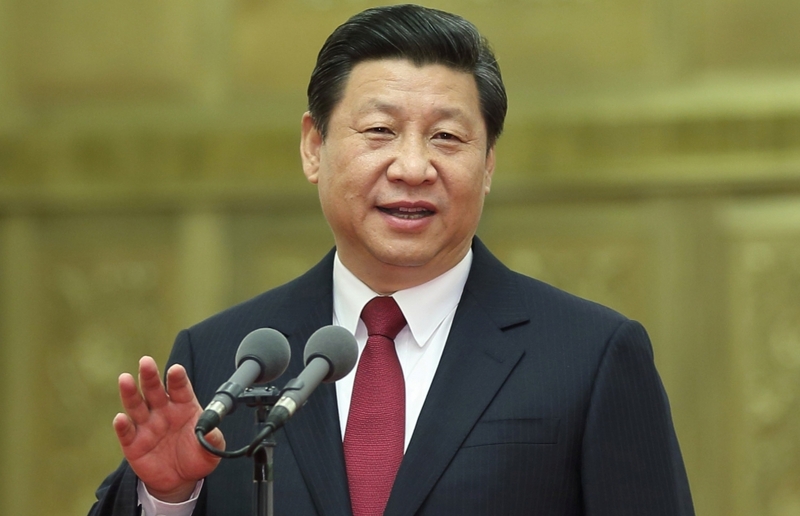 First, that Xi faces resistance, though not outright organized opposition to his agenda. It’s not been easy for his visits and speeches to get front-page play in a timely and consistent fashion—one reason why Xi pressed Communist party media a few months back to actually act like it was part of the Party, and why essays since then continue to stress that point. For example, the speech referenced above that appeared in the most recent issue of Qiushi took place at a meeting this past December—that is, almost a half year ago. If Xi is all-powerful, why did a major internal speech take so long to surface? And there are also a lot of party officials whose personal rice bowls have been broken by Beijing’s anticorruption campaign. They’re not happy, though many of them have been rendered mute by the same campaign. They might be angry, but they’re also quarantined. But what’s troubling for Xi is that there are at least an equal number of cadres whose careers were created by following the established rules of performance and promotion that existed before Xi came onto the scene. By hitting out at those who bent the rules in their favor, Xi is undercutting those officials who were good at their jobs, at least as those jobs had been defined before. That part of the crackdown produces a fair amount of ill will at the upper and middle echelons of government, and creates more than a little indecision at lower levels because cadres aren’t sure what they’re supposed to be doing, only what they’re not. And Xi surely knows that’s the downside—which is why he’s been so adamant lately in hitting out at those who would form cliques and factions to oppose his reforms. Xi isn’t talking about the political environment that he inherited (which is what many observers assume), but the one that he surely realizes that his own efforts have created. Xi doesn’t like political clans as a rule, but he’s far more concerned with them standing up for the status quo, and therefore in the way of his supporters--supporters who’ve been screaming for social change that’s engineered from above by the Communist party, instead of emerging (or even erupting) from below. That’s a tough notion for some outside China to grasp. That is, that Xi and his allies in the party ranks see their country threatened far more by elements within the party seeking to thwart change, than they fear protests or social upheaval from below. What’s actually happening is that Xi and his like-minded comrades want to be in control of the process of changing China, instead of trying to suffocate reform and hope for the best. That’s why Xi And Friends hit out at anyone who has a different narrative about the type of change China needs to believe in, and do so often with real anger and ardor. The argument isn’t over what type of reform, but that there should be reform—and to the Communist party at that, not the economy. The Real Xi, in other words, is someone who is now moving more carefully, adjusting his strategy to fit the new circumstances that he created. Which leads to the second consideration: That a major reason why The Real Xi has been so difficult to discern is that Xi Jinping is subverting the narrative of Chinese politics as it’s been taught and passed on by so many Western analysts of Chinese affairs. More on that aspect in the next post.